The deadline of Pre-registration has been extended to May 18, Fri, 2018. Registration and Call for Abstract sites opened. 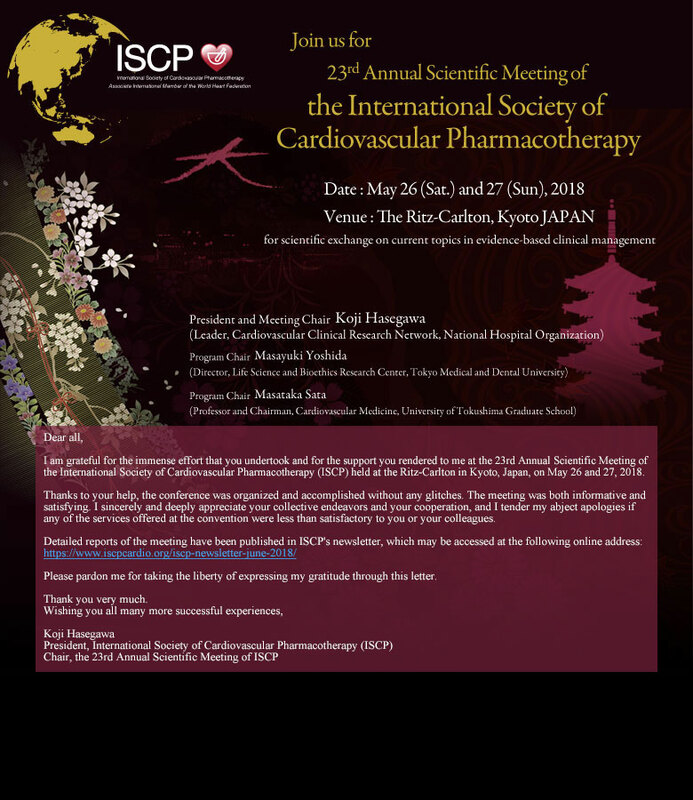 Join us for 23rd Annual Meeting of the International Society of Cardiovascular Pharmacotherapy (ISCP2018) site opened. Copyright © ISCHF Congress 2017 All Rights Reserved.